A memorial program for Charles E. Vanderpool (1906-1993), who passed away on December 17, 1993, in Miami, Florida. Vanderpool was born in Turtle Creek, Pennsylvania on October 9, 1906. His memorial services were held at the Episcopal Church of the Good Shepherd in Maitland and Vanderpool was buried at the Maitland Cemetery on January 15, 1994. The Vanderpools were one of the original families in Maitland, Florida, with Isaac Vanderpool, the patriarch of the family, buying 160 acres of land in the year 1870. In 1876, after facing a large financial loss and disaster in New York, Isaac and his wife, Harriet Vanderpool, permanently moved to the Maitland area. At the time of their arrival, the area only had about four or five family homesteads and orange groves. Vanderpool was part of the first committee to help incorporate the town of Lake Maitland. The committee included Vanderpool, Henry S. Kedney, George Packwood, and Richard Packwood. The Vanderpool family was also heavily involved in civic affairs, which included the establishment of the town of Eatonville by Vanderpool and Josiah C. Eaton. The Vanderpools were paricipants in the creation of the Florida Audubon Society and the organization of the Maitland Public Library. Harriet Vanderpool, along with Bishop Henry C. Whipple, founded the Episcopal Church of the Good Shepherd, and, in 1927, she wrote the "Maitland Song," which the chamber of commerce adopted as the official song for the city. In 1887, Vanderpool became Mayor of Maitland and during this time, acquired land for the city first cemetery. In 1892, he built the first packinghouse in Maitland, which was featured in TheGate City Chronicle as the state most modern and best packinghouse. Original 4-page program, 1994: Vanderpool Collection, accession number 2014.002.025V, room 2, case 2, shelf 10, box GV, Maitland Historical Museum, Art & History Museums - Maitland, Maitland, Florida. Digital reproduction of original 4-page program, 1994. Vanderpool Collection, room 2, case 2, shelf 10, box GV, Maitland Historical Museum, Maitland, Florida. Maitland Historical Museum Collection, Maitland Collection, Orange County Collection. RICHES of Central Florida. 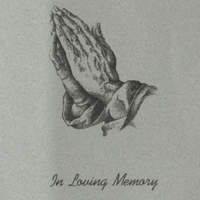 Cox-Parker, Carey Hand; Episcopal Church of the Good Shepherd; funerals; Hand, Carey; Maitland; Maitland Cemetery; memorials; Miami, Florida; Phillips, Robert; Turtle Creek, Pennsylvania; Vanderpool, Charles E.
“Memorial Program for Charles E. Vanderpool.” RICHES of Central Florida accessed April 26, 2019, https://richesmi.cah.ucf.edu/omeka/items/show/4198.